Generally speaking, Americans are familiar with the names Cozumel, Cancun, Mayan Riviera, etc, but where are they? Let's look at some maps, each one zooming in closer and closer. including Texas, Louisiana, and Florida. 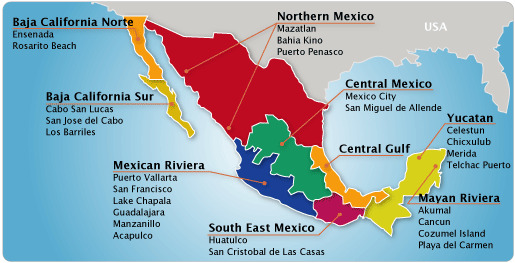 Mexico is the country directly south of the United States, bordering in Texas, New Mexico, Arizona, and California. The Yucatan Peninsula divides the waters of the Gulf of Mexico and the Caribbean Sea. The eastern shore of Mexico has a long skinny peninsula, south of California, called Baja California. South of Mexico on the Caribbean coast, lies Belize, an English speaking colony that has grown to be a resort for vacationers. Guatemala is next to it as you go inland. The Mayan civilization covered the whole peninsula and went down into Belize and Guatamala. 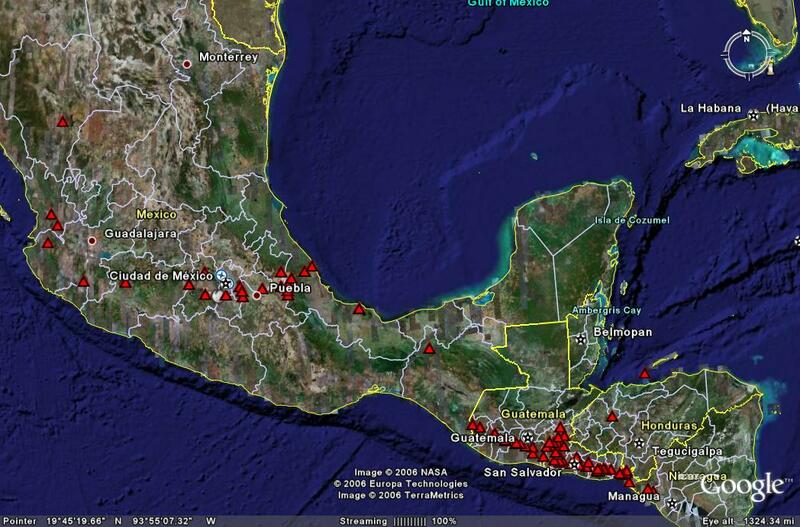 The next map zooms into the Yucatan Peninsula and part of the Gulf of Mexico. The body of water in the center of the photo is the Gulf of Mexico. The water to the right of the land, is the Caribbean sea. 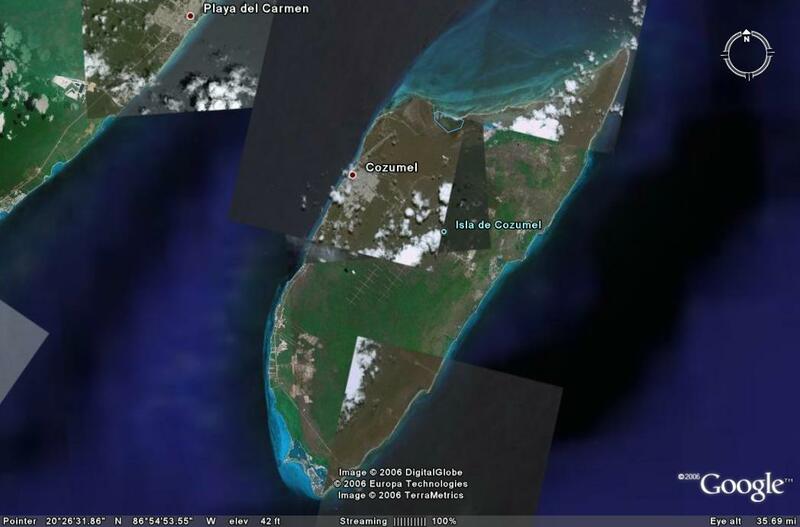 The island of Cozumel is the tiny island to the right (East) of the Yucatan Peninsula, in the Caribbean Sea. speaking, Americans are familiar with the names Cozumel, Cancun, Mayan Riviera, etc, but where are they? 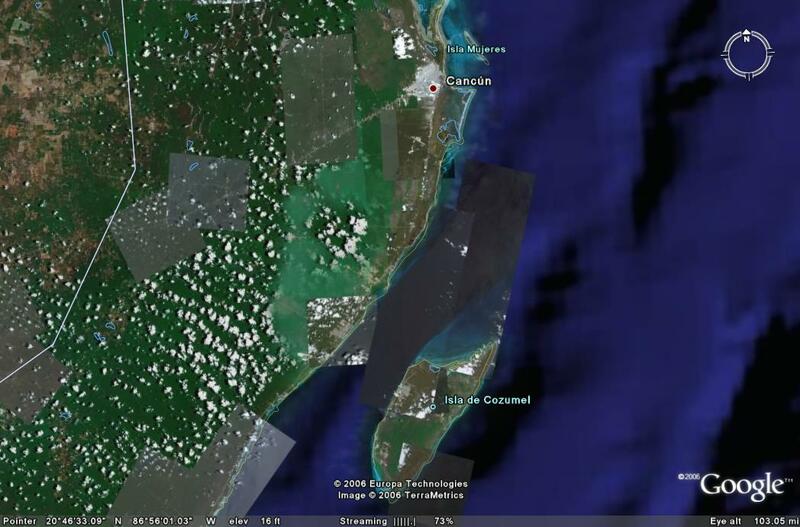 The Yucatan Penninsula divides the waters of the Gulf of Mexico and the Caribbean Sea. Guatamala is next to it as you go inland. 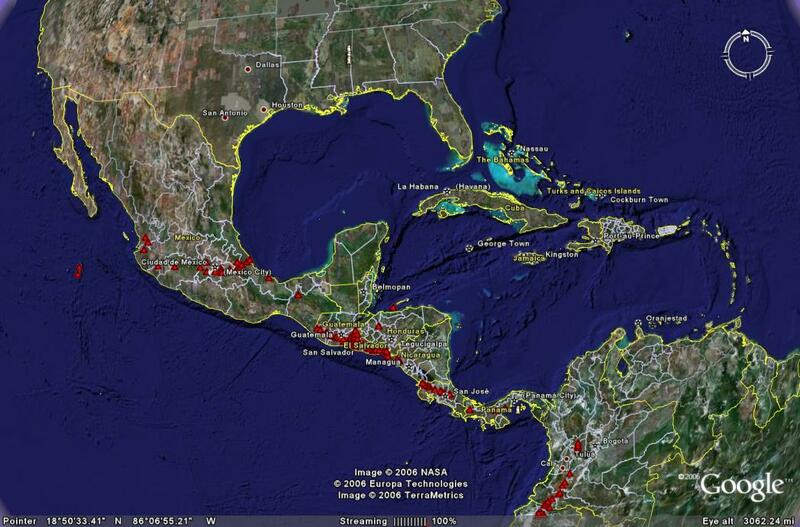 The Mayan civilization covered the whole penninsula and went down into Belize and Guatamala. created a beautiful world class golf course in the northern swamps. Private residences, and hotels have expanded along the western shoreline. was filmed in Cozumel in Dec. 2009. La Ventanas del Mar Hotel is now open. And now we see the position of the island.. As you can see, the norther part of the island is mostly swamp, with shallow crystal clear shores and bay. 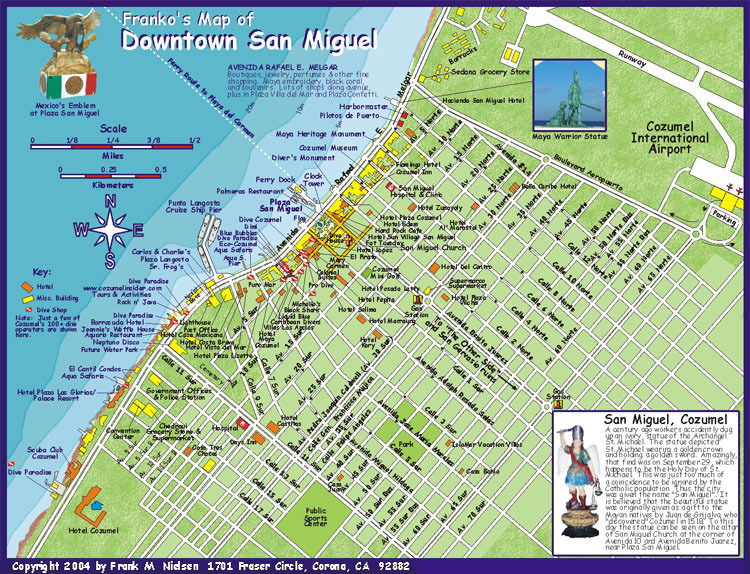 settlement on the island, before San Miguel was developed.